Hear the words "Niagara Falls," and what comes to mind? A dizzying drop of thundering water and clouds of mist, sure. There's the famous vaudeville routine, during which the innocent mention of Niagara Falls triggers a maniac's memory of revenge and an attack that begins with his bellow, "Slowly I turned...step by step...inch by inch" (see Abbott and Costello's version here, and the Three Stooges, here). The 1953 movie Niagara, starring Marilyn Monroe and Joseph Cotten, inspired mobs of honeymooners to visit the Falls. Daredevils have gone over the Falls in barrels and teetered across high wires spanning the Niagara River gorge, although people swept over the Falls by accident or design face high odds against survival. 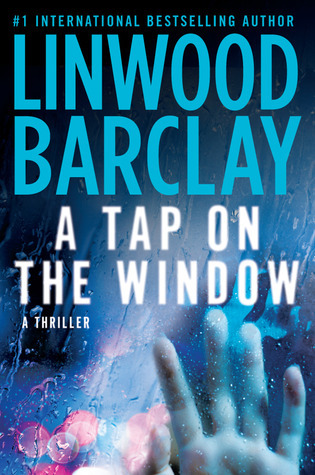 That's why a person "Mister" is threatening to throw into the Niagara River is panic-stricken in the conversation that opens Linwood Barclay's thriller, A Tap on the Window (New American Library/Penguin Group (USA), 2013). We don't know that person's fate before the scene shifts suddenly to the car containing our narrator, Cal Weaver, a middle-aged former cop who's now a private eye in Griffon, New York, a town of 8,000 about an hour from Buffalo. Of all people, Cal knows that picking up a teenage girl hitchhiking in the rain outside Patchett's Bar is a monumentally dumb thing to do. But he does it anyway, because when he opens the car window in response to her tap on the glass, she tells him she knew his son, Scott. Scott died when he fell off the roof of Ravelson Furniture two months earlier, and it has devastated Cal and his wife, Donna. Cal, determined to hear what Claire Sanders, the mayor's daughter, can tell him about Scott, lets her into his car. Claire and Cal may as well have joined hands and jumped into the nearby Niagara River; this book's characters have about as much control over their fates as swimmers engulfed in the rapids near the Falls. Writer Barclay, a Canadian, often sets his thrillers on the American side of the border, and he isn't one to politely ignore American anxieties. Instead, he hoses his complex characters with them and turns their resulting behavior into a corkscrewing tale of suspense. We can even pity the victimizers, because they're also victims here. One story line—written in italics in short, separate chapters—involves what looks like an off-kilter private matter, before we understand how it meshes with the other story line Cal narrates about himself and small-town politics and life in Griffon. The problems facing Griffon are familiar ones to Americans. While some Griffon citizens, including the mayor, believe the police go too far in their attempts to prevent crime (like spray painting a young graffiti artist's throat and knocking out a suspicious stranger's teeth), others believe a low crime rate justifies the means. Griffon deals with underage drinking by semi-tolerating it at Patchett's, because at least the bar's owner, Phyllis, is keeping a practiced eye on the teenagers there. Some parents can't be bothered to ride herd on their teenagers. They're too busy stealing from their employers, treating their employees shamefully, cheating on their spouses, worrying about what the neighbors will think, or simply watching TV. But well-meaning, concerned parents like the Weavers aren't perfect people either, and they aren't immune to problems and heartbreak. Griffon kids contribute their share to the wreckage of family happiness by abusing drugs and breaking the law, lying and keeping secrets, using their cellphones to send pictures of their privates, spending the night with a lover—you know, being screwed-up kids. In fact, messed-up relationships between parents and their kids are at the center of this thriller. Even the normal problems of communication between adults and teenagers spur the plot along. This reminds me: we left Claire and Cal in the car. Cal gets nowhere in his conversation with Claire before she complains of an upset stomach and asks him to stop at Iggy's so she can use the restroom. When she doesn't return, Cal goes in to check on her, without success. 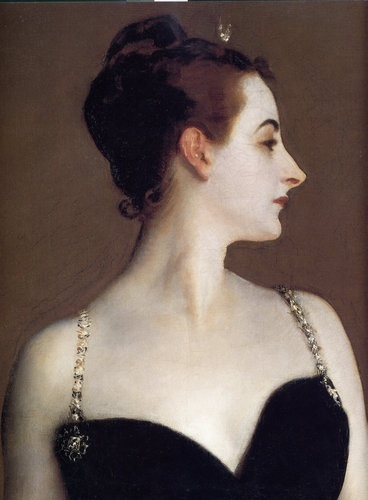 He returns to the car and sees a young woman inside it. She resembles Claire, has the same hair, and is wearing the same clothes, but they haven't traveled far before Cal realizes she isn't Claire. He also realizes they are being followed. When he tells her he knows something screwy is going on, the not-Claire insists on getting out and disappears into the night. Unfortunately for Cal, he is now involved in the disappearances of two teenage girls, and neither his conscience nor the police (Cal has an adversarial relationship with his brother-in-law, the chief of police) will let him shrug it off. Before Cal is finished narrating this excellent thriller, we'll see lives play out and end—step by surprising step, inch by confounding inch—a stone's throw away from Niagara Falls.